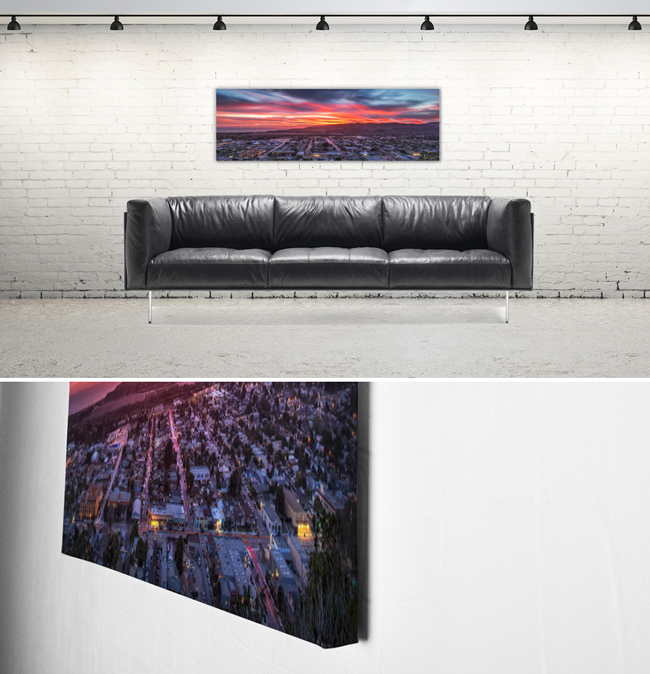 High gloss Metal Prints are printed on ChromaLuxe aluminum sheets (0.1″ thickness) with a white base that allows your image’s rich colors to pop with unprecedented vibrancy. Each print is coated with a protective reflective finish bringing an ultra-modern feel to your studio and clients’ walls. Hanging hardware is pre-installed (8×10, 8×20, 12×12, 11×14 will have a ½” float mount, notched block hanger; all other sizes will have a ¾” black inset frame with nail groove track). 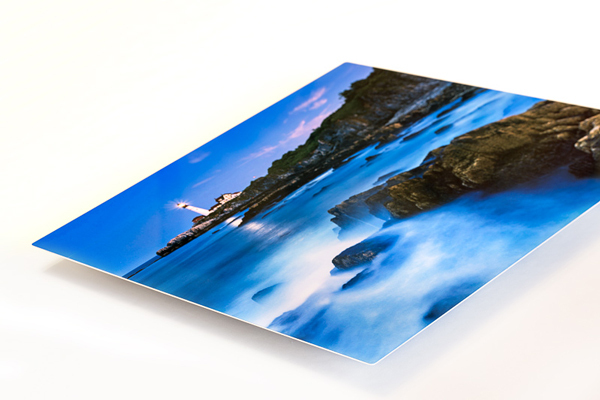 All metal prints feature rounded corners.